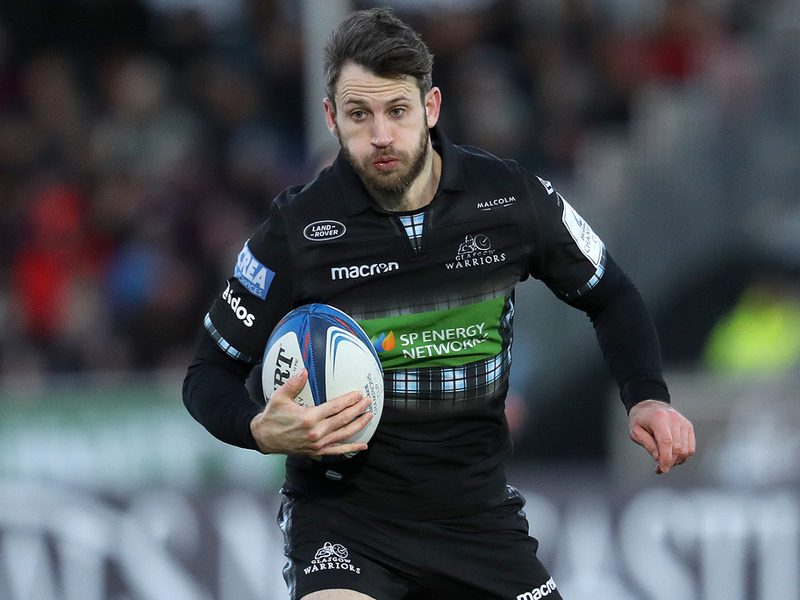 Glasgow sealed a 39-24 win over fellow PRO14 high-fliers Leinster in Dublin on Saturday that takes them atop Conference A.
Leinster’s cause wasn’t helped early on by fly-half Ross Byrne being yellow carded after only three minutes for tackling Seymour without the ball, Adam Hastings sending over the resulting penalty for a 3-0 lead for the Warriors. The fly-half would go on to finish with 14 points. Hastings would nudge his side back in front before a wonderful break from Ali Price on his own 22 led to Johnson fending en route to a try. With Hastings’ two the Warriors had raced into a 13-5 lead in Dublin and were looking in good shape with a quarter of the game gone. And the icing was then added by replacement Horne, whose intercept crossing made it a five-try victory for Dave Rennie’s men on the road. Elsewhere, Connacht clung on to secure a play-off spot after they overcame Cardiff Blues 29-22 at the Sportsground in a four-try success. Caolin Blade, Gavin Thornbury, Jack Carty and Matt Healy crossed the try-line while Carty also added nine points off the tee in their win. For the Blues this result ends their hopes of knockout rugby as they remain in fifth position in Conference A with one round remaining. Meanwhile, the Scarlets have an outside chance of reaching the end of season play-offs after thrashing Zebre 42-0. Wayne Pivac’s men have endured a disappointing campaign but they were too good for the Italians as Uzair Cassiem (twice), Hadleigh Parkes, Johnny McNicholl, Kieran Hardy and Ioan Nicholas all touched down, leaving them fifth in Conference B, two points behind third place Benetton. In the final game of Round 20, the Cheetahs were too good for the Dragons after they sealed a 38-13 triumph over the Welsh region. The teams were level going into the final 25 minutes as Henco Venter and Taine Basham traded tries, but the South Africans pulled away in the last quarter via Shaun Venter, Tian Schoeman, Louis Fouche and Rabz Maxwane efforts.